The 58-year-old was found treading water about a quarter-mile from shore. The U.S. Coast Guard rescued a 58-year-old man who was forced to tread water at sea for nearly four hours after getting swept away by rip currents off Crane Beach in Ipswich, Massachusetts. The rescued man, Randall Hackett, had gone out for a swim with his 28-year-old son-in-law, Alexander Auerbach, around 5:30 p.m. Tuesday, according to the Ipswich Police Department. The two were "familiar with the area, were wearing wet suits and were reported as strong swimmers," police wrote in a Facebook post today. But after failing to return more than an hour-and-a-half later, family members reported the two missing, police said. Auerbach eventually made it back to shore around 7:30 p.m., police said. Auerbach reportedly told authorities that he and Hackett had been separated by rip currents and fog that caused near-zero visibility. A multi-jurisdictional operation was then launched to find and rescue Hackett, police said. The Coast Guard dispatched a helicopter, plane and boat, and state police sent out a K-9 unit to aid with search-and-rescue efforts. 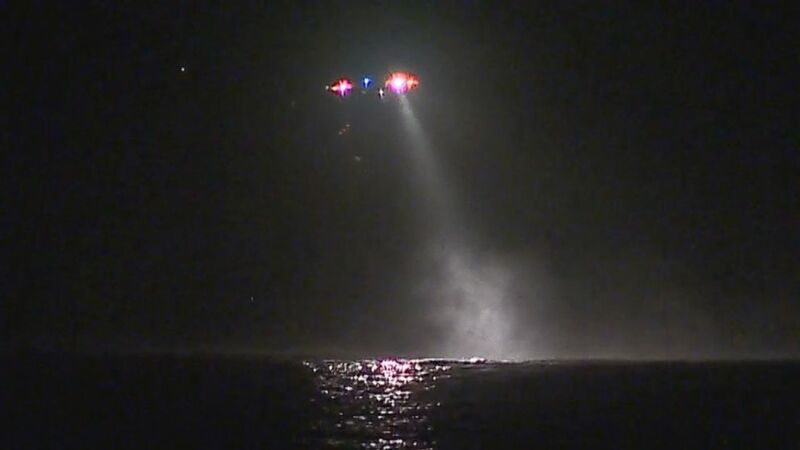 A few hours later, around 9:30 p.m., the U.S. Coast Guard helicopter team spotted Hackett treading water about a quarter-mile from shore, according to police. The Coast Guard deployed a diver who was able to bring the man up into the copter. 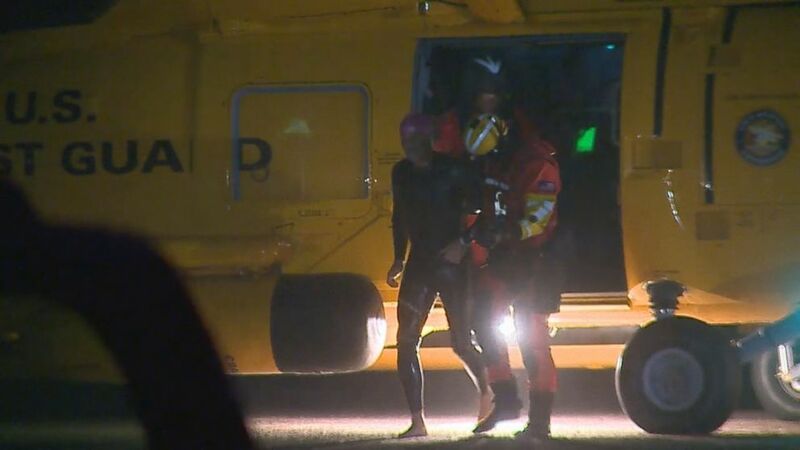 (WCVB) A swimmer who was missing at sea off the coast of a beach in Ipswich, Massachusetts, for over four hours was rescued on the evening of Oct. 18, 2016, according to police. Hackett was then flown back to shore, where he was reunited with family before being transported by ambulance to a hospital for evaluation. "This was a tremendous effort by municipal, state, and federal agencies who came together to locate a swimmer in difficult conditions and rough waters," Ipswich Police Lt. Jonathan Hubbard said in the Facebook post. Hubbard praised the rescuers, who descended on Crane Beach from all over, for ensuring a positive outcome Tuesday. The Coast Guard added in a news release today that it wanted to remind the public that "water temperatures are rapidly dropping, meteorological conditions continue to deteriorate as the weather turns colder, and all mariners and swimmers should exercise appropriate caution in light of these season-changing hazards."